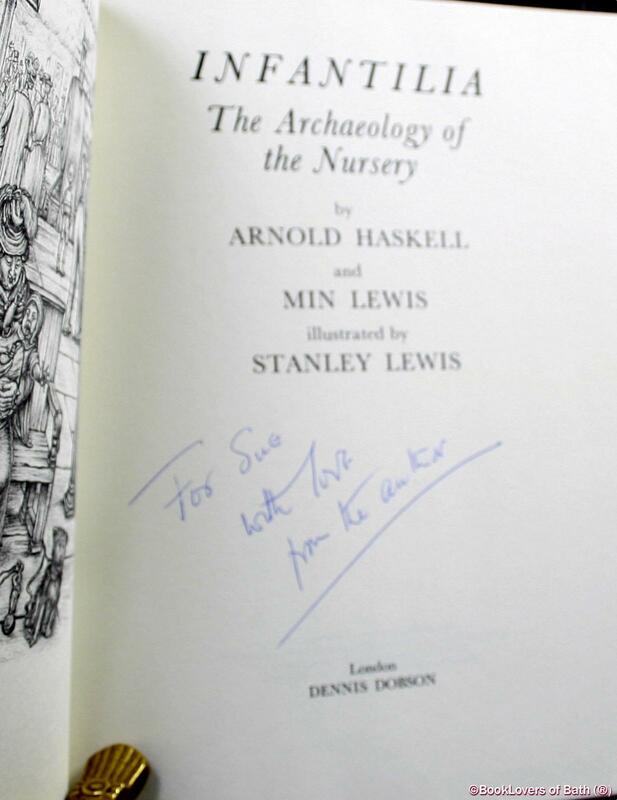 London: Dennis Dobson, 1971, Hardback in Dust Wrapper. Condition: Very Good — in Good+ Dust Wrapper. Unlaminated dust wrapper a little edgeworn and faded with heavier tanning to the spine. Edges of the text block lightly spotted. Text complete, clean and tight. From the cover: “It is rare to find material assembled for the first time between the covers of a book that deals with objects so familiar that we are no longer aware of them. Infantilia is such a book. 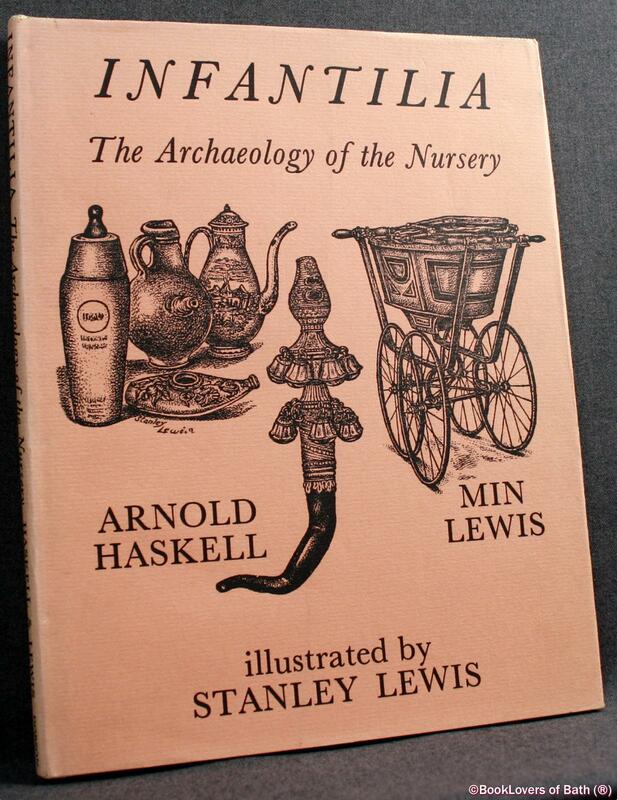 It tells in drawings and text the history of perambulators, feeding bottles and rattles in a manner that is of interest to the collector of increasingly rare and often beautiful objects, to the sociologist and to the pram-pushing mum and dad in the street. It is amazing that no such study has previously appeared and its experienced authors have made it lively, personal and scholarly with illustrations of 125 different objects. When was the first pram made? Can you date a vintage pram? Did you realise that they were collector’s pieces? Would you recognise a blue and white willow pattern feeding bottle of 150 years ago when even the pottery that made it has no record? Did you know that the feeding bottle has a 4,000-year-old history? In no book on silver is there a section on rattles… did you realise that they were made by the finest craftsmen of the day and that they are the oldest toys in the world? Illustrated by Stanley Lewis. Size: 11¼" x 8¾". Light Brown boards with Gilt titling to the Spine. 120 pages.